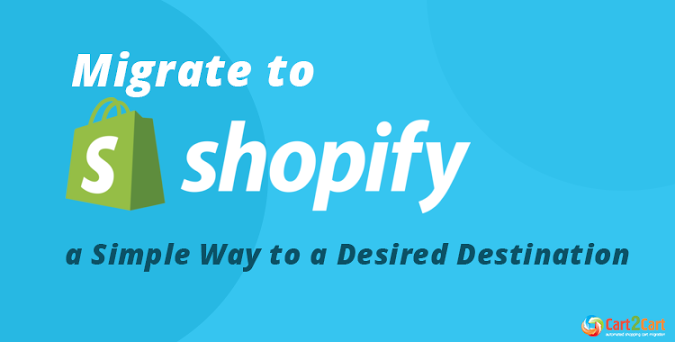 Shopify, world’s most prominent hosted solution, definitely deserves its wide recognition. It liberates users from all the dull setting up, concerns with hosting and security, and allows just to register, add products and sell them. That kind of simplicity, high performance speed and reliability makes hundreds of merchants switch to Shopify from other shopping platforms and Cart2Cart dedicates its whole existence to help them do so. Today, we’ll provide you with migration instruction, try to answer all hows and describe peculiarities of Shopify migration - so you can finish it swiftly, with no complications. Although Cart2Cart will, in no way, affect your source store during migration, it is still recommended to implement maintenance mode while the procedure is running. If you decide to do so, chose the proper time - schedule the migration on the weekend, on the hour when the number of store visitors is at its lowest. Also, make a backup of your current store data (recommended before each significant website modification) and make sure your Shopify plan provides enough capacity to store all the products you want to move. Prepare such data prior to migration. FTP credentials - you’ll need to upload Connection Bridge - manually or automatically. Categories will be called collections on Shopify, while subcategories will become product tags, and, thus, the URLs of your new store will also be formed differently. Shopify includes 2 Collection types: custom and automated. An automated one exploits the selection conditions to automatically obtain the matching products. You can add as many selection conditions as you like, and you can specify whether products need to meet all conditions or any condition to be included in the collection. A custom collection is a grouping of products that you can create to make their store simpler to browse. Create custom collection and then selects the products that will go into it. Also, you can take advantage of the smart collections that comprise products based on selection conditions rather than because they've been included manually. If you want to learn more information, check out the useful insights about SmartCollection. As Shopify has different URL structure, our service offers 301 redirects option that allows you to keep old products and category URLs working at Shopify. Migration of reviews to Shopify is done with the help of the free module Product Reviews. Once the migration will be completed, you would need to invite customers and they will be able to reactivate their accounts at Shopify or you can use the app called “Bulk Account Invite Sender” to send an invitation to all customers on new store (paid option). During migration of Customers to Shopify, Cart2Cart will automatically generate new default "unknown" email address if customer email on the Source cart is invalid. The same default email will be created during the migration of Orders, if they are not linked to particular customers, and were made by guest users - not registered customers. After the migration to Shopify, each transferred order will be perceived as a new one by the cart. Therefore, you’ll receive email notifications about the creation of new orders, though they were actually moved. To get rid of these messages, log in to Shopify, go to settings->notifications and click “Disable” in the right bottom corner of the page. Shopify gives an opportunity to specify which countries you’ll be distributing goods to, in shipping settings. And, if your source store’s orders include countries different from the ones selected on Shopify - such orders will be skipped during migration. To prevent this from happening, check all the source store countries and add them in Shopify’s settings prior to the switch. There are no product options and attributes on Shopify, so, if you have such data on the Source Cart, Cart2Cart will automatically create product variants instead. As a result, the number of variants might turn out bigger after migration. Make sure your Shopify pricing plan permits you to store them all. Shopify sets the limit for incoming product variants and attributes, therefore products with more than 99 variants and 3 attributes can’t be migrated to it. Due to Shopify peculiarities, the names of your source store’s attributes and options that have slashes - “/” in them can’t be transferred. Therefore, Cart2Cart will replace “/” with “-” in titles during migration. Shopify imposes some restrictions on specific business categories, so take it into account before migration. For more info look through this FAQ. Check your frontend first - see if your products are visible in catalogs, and onsite search is working. Go through links in menus, header, footer and inside the pages. Perform a test purchase to see if everything runs properly. Do that a few times just to be safe. It happens sometimes that new orders, etc., appear on your source store after the migration. In this case, you can use Recent Data Migration and transfer all the products, customers (or just the entities you select) that were added to your store after the Full Migration. Though migration, itself, is a complicated procedure, we promise to simplify it immensely for you. Just follow the instructions above and you’ll have your data transferred to Shopify in no time. Stop hesitating and try the free demo right now!